Mr. Mats Arnhög is a Board Member at Sigrid Therapeutics AB. Currently, he is the Chairman of the Board and Owner of MGA Holding AB. He has also been serving as Chairman, Chairman of the Election Committee, and Director of Active Biotech AB since 2000. 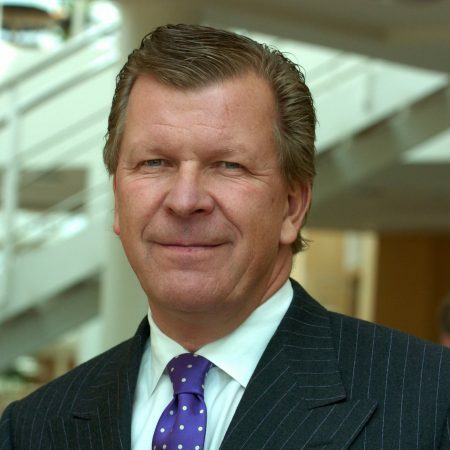 Mr Arnhög serves as Chairman and Board Member in several other companies and their subsidiaries. Besides being a well-known figure in the shipping and biotech industry, Mr. Arnhög also serves as member of the board at Ideella Föreningen PrimaGruppen and member of the Advisory Board of the Stockholm School of Economics. Mr. Arnhög obtained an Hon.Ph.D in Economics at the Stockholm School of Economics.